It's Windows 10 day! Again. This time though, Microsoft had a ton of in depth announcements about free upgrades, the future of Windows Phones, playing Xbox games on PC, and putting holodeck goggles on your face. Here are the highlights. Want Windows 10? You got it: for free. This is a sea change in Microsoft's strategy when it comes to upgrades. Gratis upgrades will be available for Windows 7, 8.1 and even Windows Phone 8.1 users for a full year. VR? Meh. 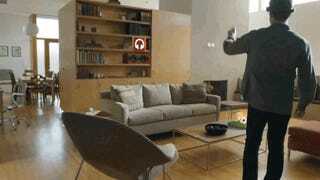 Microsoft is going the holodeck route with something called Project Hololens. These are holographic glasses and they'll be coming out around the same time as Windows 10. Man, this sure looks awesome and cool and probably also janky and questionably useful! We'll find out first-hand soon though; Microsoft will be showing off the tech to attendees later today. Today, Microsoft announced Project Hololens, its crazy attempt to make a goggle-based faceputer that will project VR all over your daily life. We haven't had a chance to try it on just yet, but here's video of Microsoft's live demo from the keynote. Microsoft's Cortana voice-assistant is coming to Windows 10 as we expected. Now you'll be able to speak commands and ask questions throughout the operating system. At its core, it's similar to the assistant we've seen on Windows Phone, but this a whole new kind of experience. Microsoft just announced that later this year you'll be able to stream Xbox One games to any Windows 10 device in your house. Which is freaking nuts. Last September, Microsoft pulled the curtain off Windows 9 10, its new digit-skipping operating system with versions for phones, tablets, computers, everything. We've seen bits and pieces of the new desktop through Microsoft's preview program, but nothing on the mobile side. Until now. It's an 84-inch, 4K display that runs Windows 10. This is not the Microsoft Surface we were expecting. It's outfitted with enormous speakers, an enormous multi-touch surface with support for multiple active pens and dual-camera depth sensors that detect when you walk up to it. This is the Microsoft Surface Hub and, unsurprisingly, it's designed specifically for the conference room.